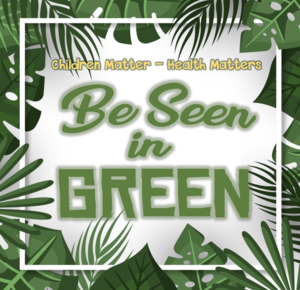 Wear green on May 9 to show your support for National Children's Mental Health Awareness Day. Children Matter -- Health Matters. We will be collecting canned goods from April 22 to May 3. All donations may be brought to your child's classroom or to the school office. The food we collect will be donated to the Hawaii Food Bank. On April 5, our students took part in Career Day. Click to read more and find a link to see photos of this event. Click to see a video of all the fun. 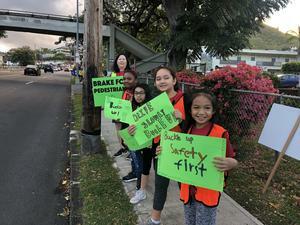 The Royal School Ohana, along with Farmer's Insurance and officers from the Honolulu Police Department, sign waved to remind our community to be safe on the streets and sidewalks. Click to see more in the Photo Album. Click here or find it in the Bulletin Board. Click for more information and how you can join.